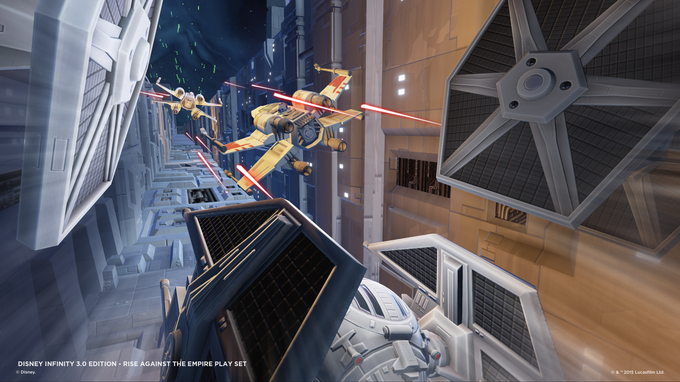 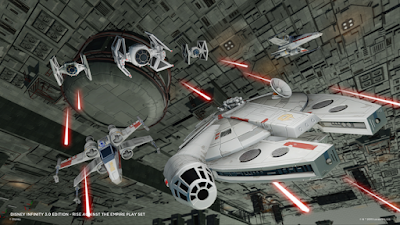 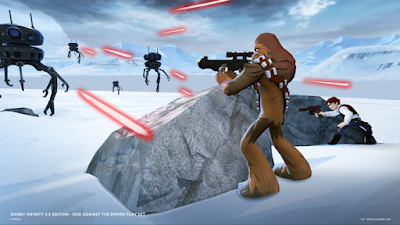 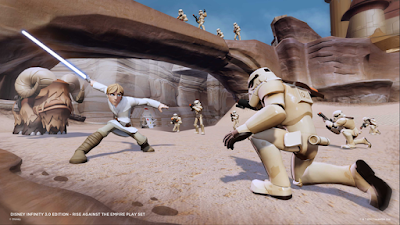 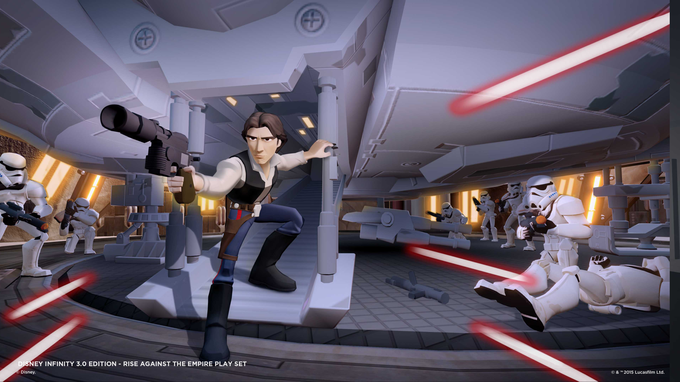 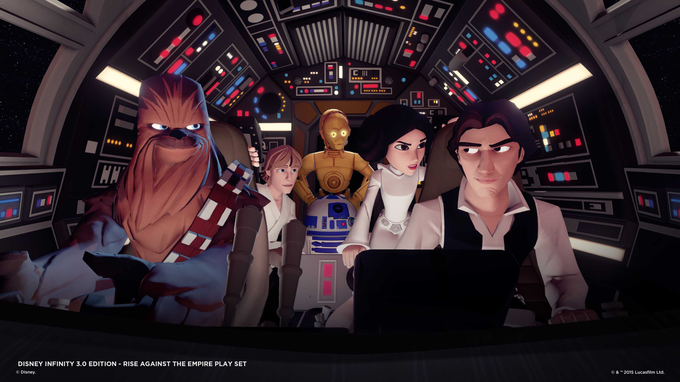 LOS ANGELES, Calif. – Disney Interactive released new information and assets for Star Wars™ Rise Against the Empire, one of three Star Wars Play Sets to be released for Disney Infinity 3.0 Edition this year. 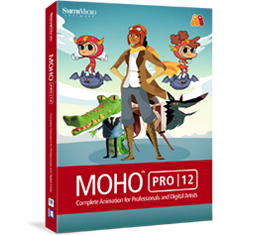 Developed by Studio Gobo, in partnership with Avalanche Software, the game takes iconic moments inspired by the originalStar Wars trilogy, Episodes IV-VI. Star Wars Rise Against the Empire will take players on galaxy-spanning missions with legendary Jedi Luke Skywalker, Rebel leader Princess Leia Organa, heroic smuggler Han Solo and his trusty co-pilot Chewbacca to help defeat Darth Vader and overthrow the evil Galactic Empire. 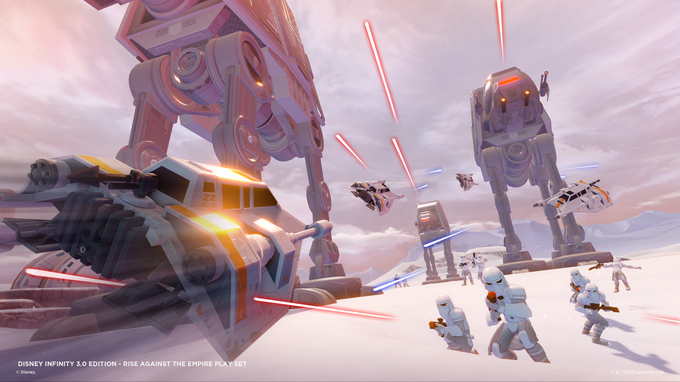 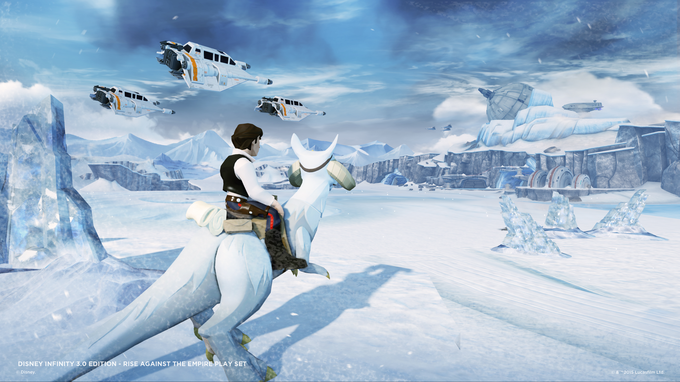 Non-stop, action-packed adventure awaits players as they explore open world planets like Tatooine on foot or on a Bantha, take down AT-AT walkers aboard a snowspeeder on Hoth, out-maneuver stormtroopers on a speeder bike on Endor, and partake in epic space battles in an X-wing starfighter to destroy the Death Star. 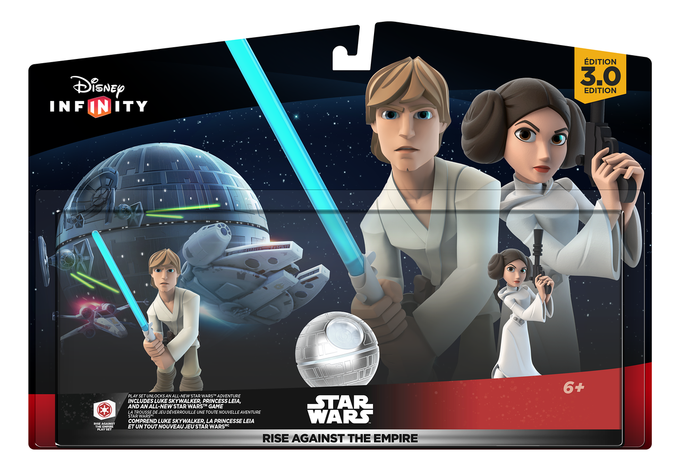 The Star Wars Rise Against the Empire Play Set includes Luke Skywalker and Princess Leia Organa figures. 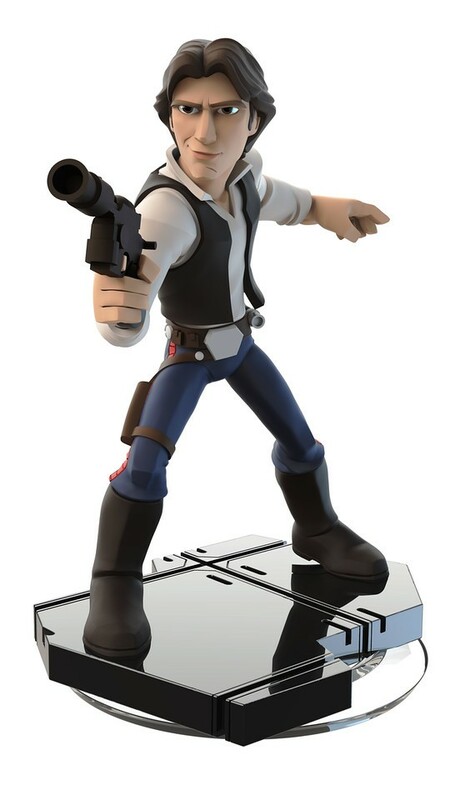 Han Solo, Chewbacca and Darth Vader will be available and sold separately. 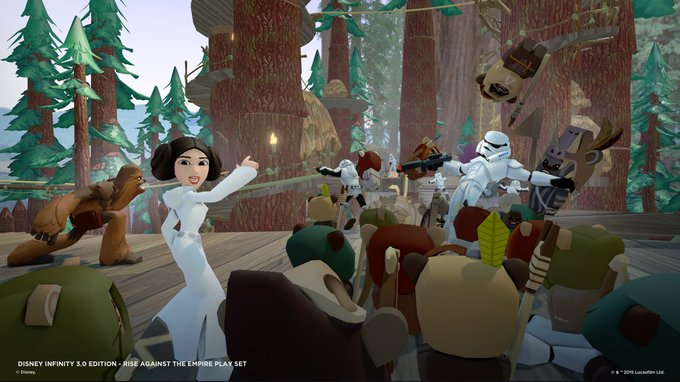 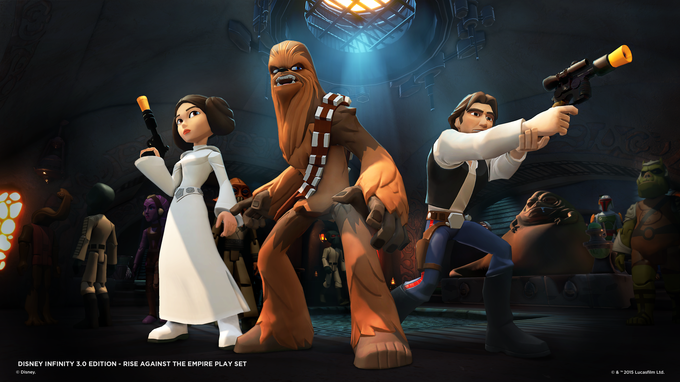 Two additional Star Wars Play Sets will be available for Disney Infinity 3.0 Edition this holiday, including Star Wars™ Twilight of the Republic and Star Wars™ The Force Awakens. 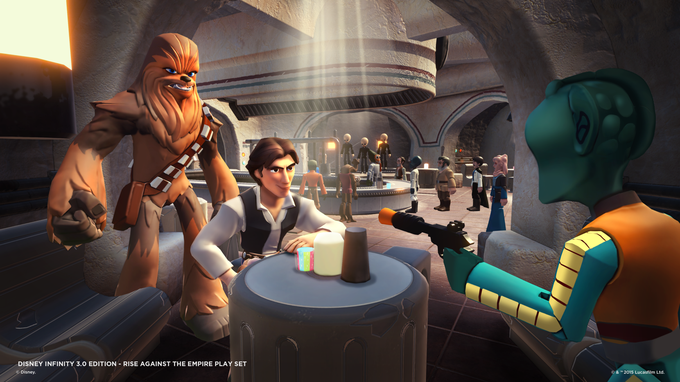 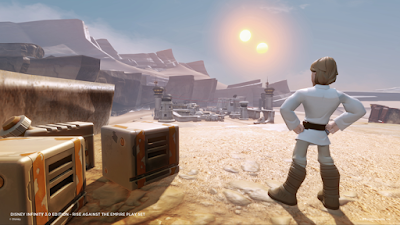 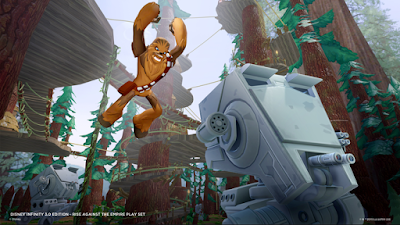 In addition, players will be able to unlock the ability for all Star Wars characters to play inside all of the Star Wars Play Sets, as well as in the newly enhanced Toy Box, along with all characters previously released for Disney Infinity. 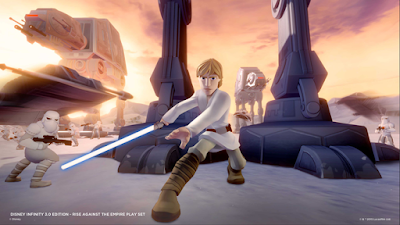 The Star Wars™ Twilight of the Republic Play Set, rated E10+ by the ESRB, is included in theDisney Infinity 3.0 Edition Starter Pack available this fall for $64.99, which also includes theDisney Infinity 3.0 Edition Base, Ahsoka Tano and Anakin Skywalker character figures, and a web code card that unlocks content for PC and mobile devices. 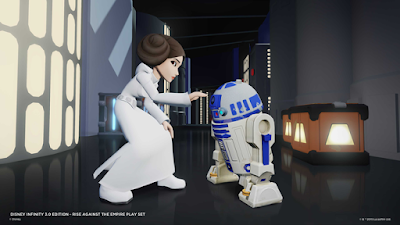 A Play Set based on Disney•Pixar’s upcoming film Inside Out and a Marvel Play Set featuring Hulkbuster, Ultron, and other Marvel characters will also be available. 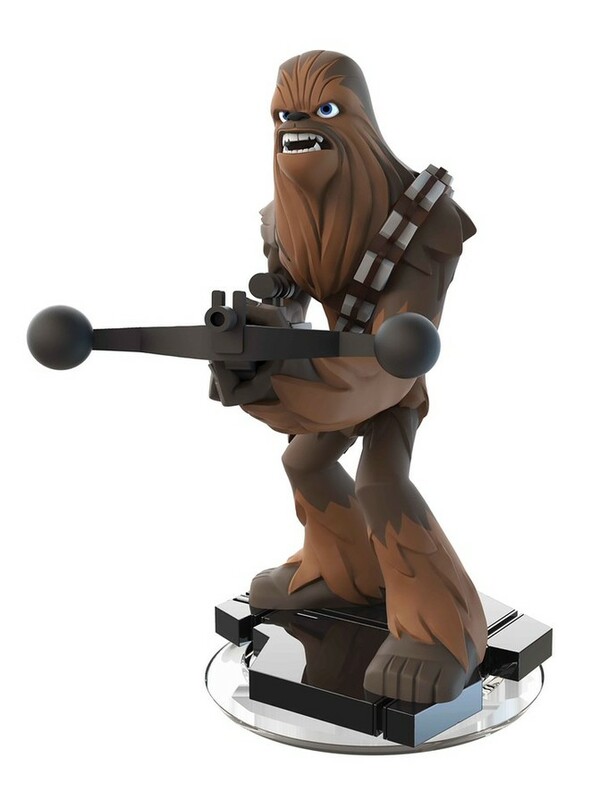 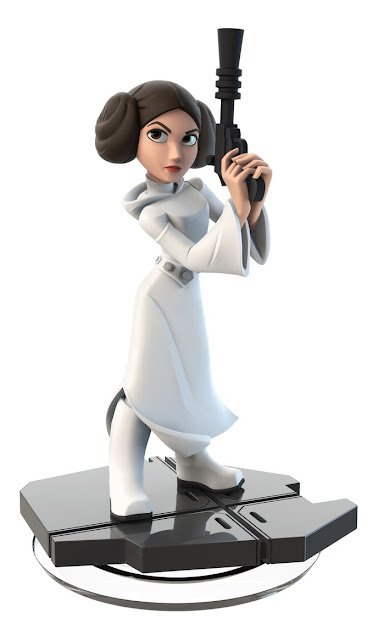 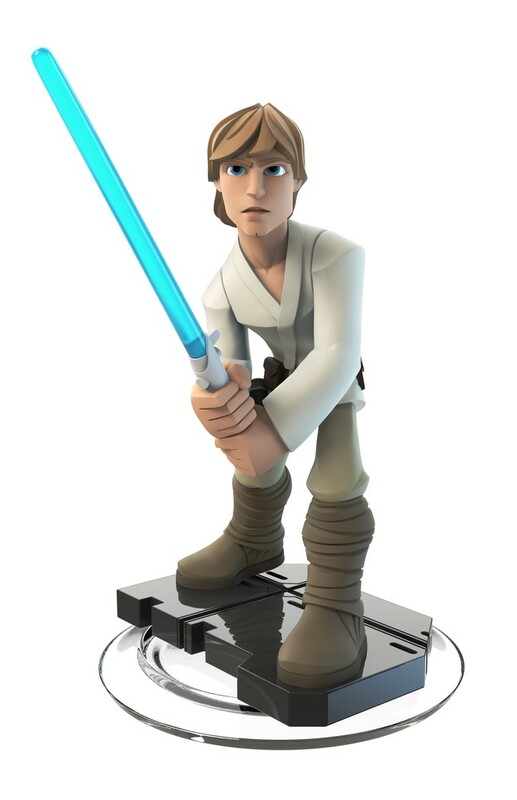 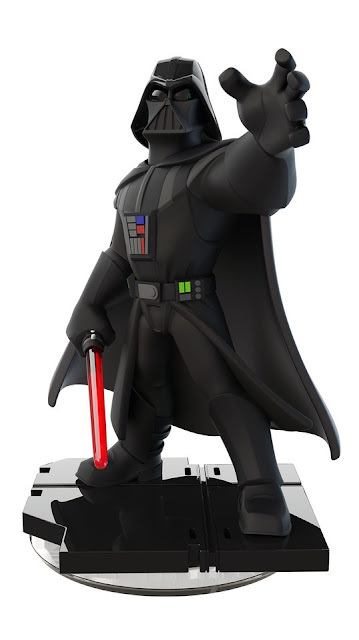 Additional Disney Infinity 3.0 Edition figures and Play Sets will be announced in the coming months.